SONY were looking to celebrate the launch of PlayStation VR in a way that showcased the hardware’s design but also give players a chance to try PlayStation VR for themselves. 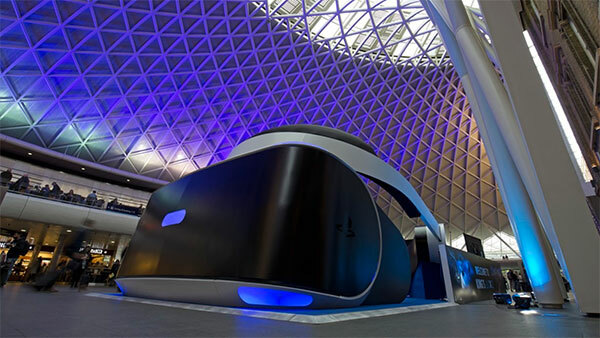 Our innovation team installed a giant version of the iconic headset at King’s Cross Station in London. The larger than life headset was approximately the length of a double decker bus, towering over commuters at 12m x 6m. The giant VR doubled as a demo room, where commuters could try out the regular sized headset for themselves, creating a unique immersive experience.